S.O.V. 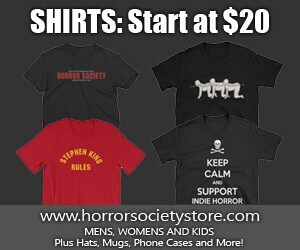 is one style of horror that does not sit well for all horror fans. It takes a certain breed of horror fan to truly appreciate these types of flicks. These films are usually cheap, rushed, cliched, and cheesy as hell. These films started popping up in the late 80s and going well into the 90s before fading out. As the 90s roared on the VHS started to become less expensive and collectors started popping up here and there picking films up from the local video store, pawn shops, thrift stores, and Goodwills. Now, with the 90s and 2000s behind us those video collectors are still searching for horror and the prize is the rare S.O.V. films that had limited releases and went unnoticed until now. Last year my friends over at The Sleaze Box started distributing films and the first film they got their dirty hands on is the “lost” 1993 S.O.V. slasher Burglar From Hell. This was the first time I had heard of the film and with a title like that I couldn’t pass it up. I ordered the film and threw it up on the shelf until I had the time to check it out! **Spoiler Alert**The film follows a musclebound dickhead who breaks into the home of an old woman so he could rob her. However, that doesn’t work and she levels a shotgun off on his chest. She buries him in the backyard and soon dies. I love a fun S.O.V. flick. They tend to break away from all convention and give us a sub-genre we know and love but in a different style or take. The most popular of the S.O.V. films was the slasher due to their simplistic stories, cheap gags, and can be used with any grade of actor. The same reason slashers were so popular with the production companies of the time. Fans of S.O.V. are always looking for rare slashers and Burglar From Hell fits that perfectly. This film is very obscure and very few people knew about this one before The Sleaze Box got a hold of it but, sadly, it was not that great of a film. The acting in this one is actually fairly decent especially when compared to other S.O.V. films from the time. The cast is great but I really enjoyed the performance from Bryant Sohl who played Frank the Tank. He was a really fun and ruthless killer. The story for this one is not that original nor is it well written. The film follows the slasher formula to an extent. Someone was wronged and then comes back for vengeance. However, this story was changed drastically. Usually the killer was innocent until something bad happens to them or their family and in this film the killer was already a killer before he died. That gives us a decent spin on the slasher sub-genre. I personally liked the story but was not happy with it’s execution. The film opened with some decent action only to follow it up with a lot of boring dialogue before the killer was resurrected. This left the viewer with a lot of downtime. Finally, the film has several on screen kills but none are that original nor does it o anything to set itself apart from the other S.O.V. of the time. The practical effects we do get are decent and what one would expect from a film like this. Overall, Burglar From Hell is a prime example of what it meant to be an S.O.V. horror flick. Though it does have several slow scenes it should still be watched for the sheer fact it was once a “lost” S.O.V. slasher. Previous article Get Hollywood Chainsaw Hookers on Blu Signed By Fred Olen Ray While Supplies Last!